The music of My Brightest Diamond lends itself well to remixes. Shara Worden’s exquisite voice provides the perfect lead (or backing track) for any sort of deconstructing or restructuring of her original music. 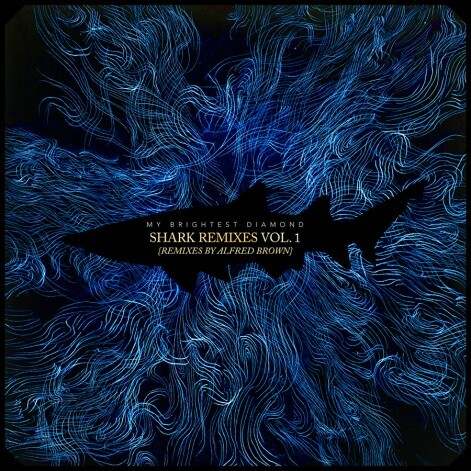 My Brightest Diamond’s debut Bring Me the Workhorse (2006) was given the remix treatment in the form of a remix compilation entitled Tear It Down (2007). This collection is evidence to the strength of her compositions and voice, as remixed by such artists as Murcof, Alias, Lusine, Golden Chains among others. 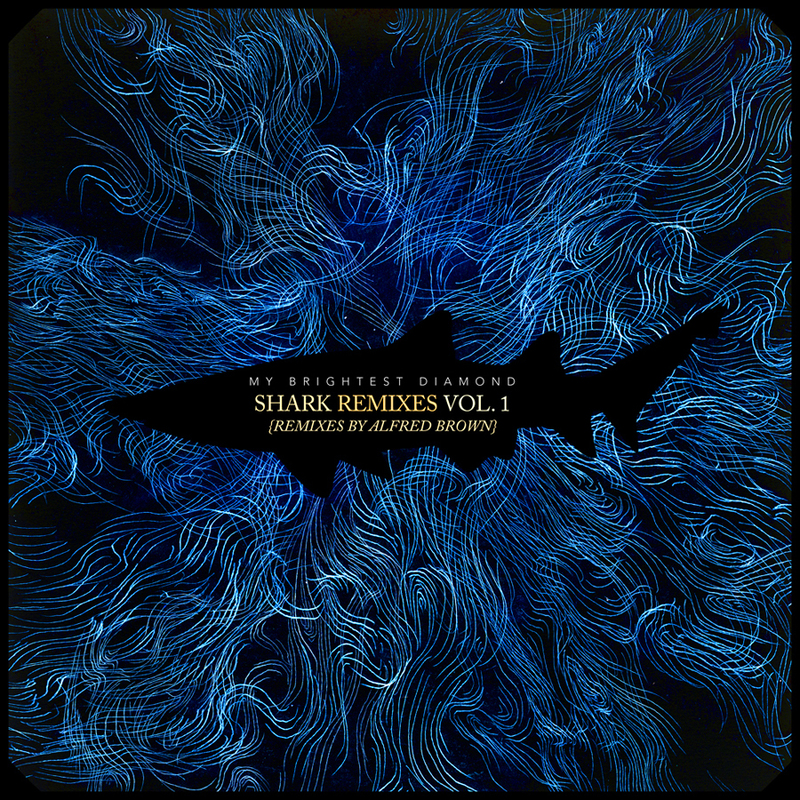 While Asthmatic Kitty and My Brightest Diamond had no regrets about the Tear It Down project, when the time came to talk remixes for A Thousand Shark’s Teeth, they both realized a need for a more cohesive and conceptual project. They brought on four remixers (Alfred Brown, DM Stith, Son Lux and Roberto Carlos Lange (Epstein, Savath and Savalas, ROM)) and commisioned them to each create a separate EP of remixed material. The first of these EPs is by Alfred Brown. Alfred Brown loves little sounds. He is easily sidetracked for ten or fifteen minutes tapping on a desktop, listening to the tonal qualities. Raised in the small town Hoosick Falls, NY surrounded by farms, Alfred Brown started playing saxophone in 5th grade and played in the school band up until 11th grade. From playing the national anthem with the community band in the town’s park gazeebo, to channeling his early teen angst via the guitar mostly punk music and lisa loeb, Alfred Brown finally decided to pursue music and composition. He began to find resonance with composers such as Anton Webern, Edgar Varez, John Cage, and Pierre Boulez. These composers and his study of composition changed the way he heard music. Music became organized sound. It was around this time that Brown began recording unperformable recordings, which started as importing any soundclip that happened to be on the computer and deconstructing it through computer editing software into an unrecognizable form. Drawing inspiration from My Brightest Diamond’s many references to the heavens, Alfred Brown developed a narrative to guide the composition process of his remixes. The stunning result is a cinematic and textural avant-classical deconstruction of the My Brightest Diamond’s A Thousand Shark’s Teeth. Instead of a straight ahead approach to remixing a single song, Alfred combined parts from different songs, juxtaposing new elements to give the preexisting material new meaning. The guiding narrative is about an astronaut stranded outside of his ship while working in Low Earth Orbit. As he descends toward earth he is completely cut off from all communication with Earth and finds himself totally alone. During this time of complete isolation he thinks about his loved ones back on Earth, about his life, about God, and about dying. The remixes narrate, through words and music, these contemplations being sent out across the universe; and the echoes that come back.